MANILA, Philippines - Industry giant Philippine Long Distance Telephone Company (PLDT) on Tuesday, April 7 refutes claim of its rival Globe Telecom for being the number 1 mobile brand in the country. During the company’s annual stockholders meeting on Tuesday, Globe president Ernest Cu said the Ayala-led operator emerged as the number 1 mobile brand and toppled PLDT on all fronts. “From being a challenger brand, Globe waged a revolution in all fronts, from digital, technological, and business, all the way to our corporate culture as well as making our financial growth sustainable in the long run,” Cu said. In a statement, PLDT has asserted that its wireless unit Smart Communications Inc. (Smart) continues to be the leading mobile service provider in the Philippines, in terms of subscriber base and revenues. “As of end-2014, Smart led the market in subscriber base, with over 56.4 million subscribers in its prepaid, postpaid, and broadband services. Smart is also number one in terms of revenues, posting P92.0 billion, about 18 percent higher than the competition,” PLDT's spokesperson Ramon Isberto said. Isberto added that PLDT’s wireless units – Smart and Sun Cellular further dominate the industry with a subscriber base of 72.8 million and with combined revenues of P114.5 billion ($2.57 billion). The higher subscriber base and revenues clearly give the PLDT wireless group the strong and undisputed number one position in the mobile industry, Isberto added. Globe claimed the top spot hinged on revenue market share. The company said it dominated this aspect in 2014 bolstered by P29.9 billion in revenues, as well as a 58 percent market share in a two-player environment, versus that of its two rivals which tallied P21.7 billion for a combined 42 percent revenue market share. On the other hand, PLDT said Smart and Sun led the industry in terms of postpaid revenue growth, with combined revenues increasing by 14% year-on-year to P21.7 billion in 2014. "Their individual growth rates are also better than their competitor’s, with Smart’s postpaid revenues improving by 14%, and Sun’s rising by 13%," PLDT said. Smart and Sun earlier reported a 16% increase in subscriber base to more than 2.8 million, which accounts for 55% of the Philippine mobile postpaid market. 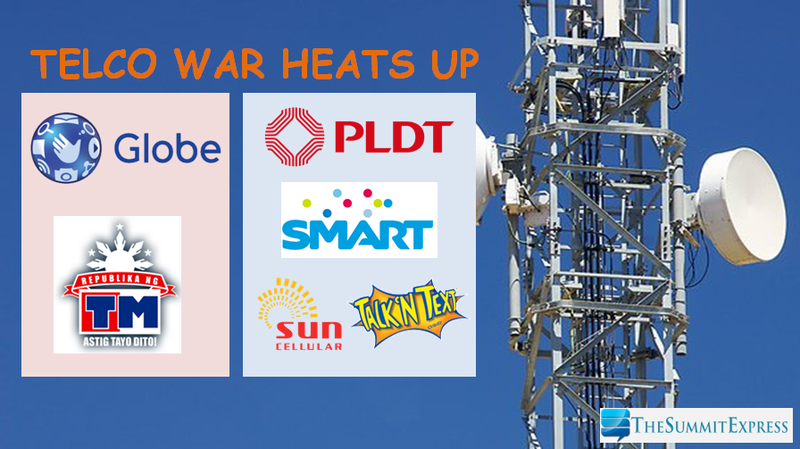 Sun’s postpaid base expanded by 16% to more than 1.7 million, while Smart’s went up by 17% to more than 1 million. Smart and Sun netted over 387,000 additional subscribers, which comprise 62.1% of the net additional subscribers of all mobile operators last year.